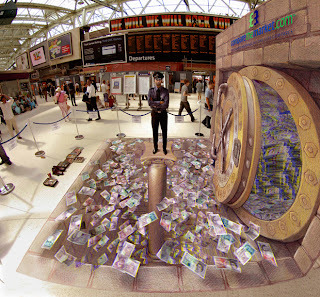 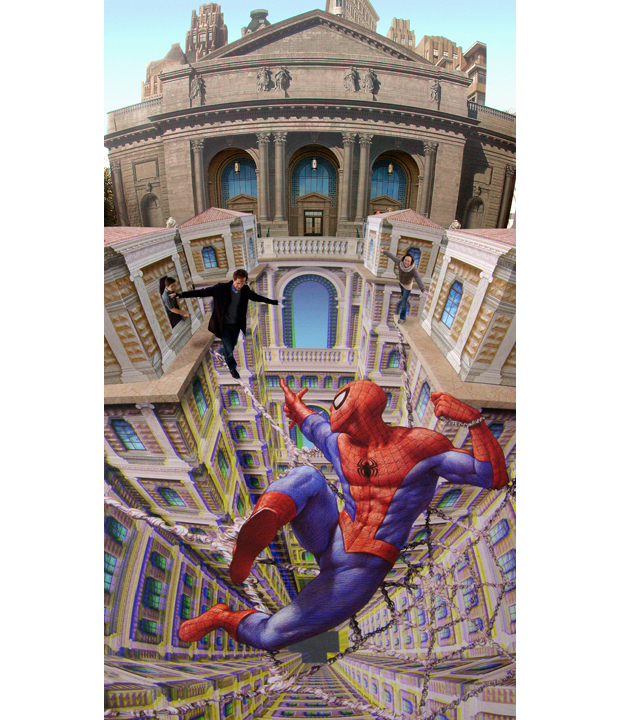 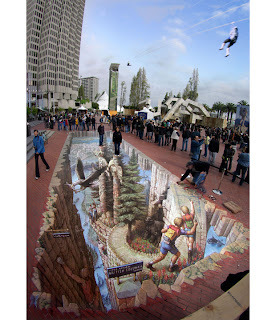 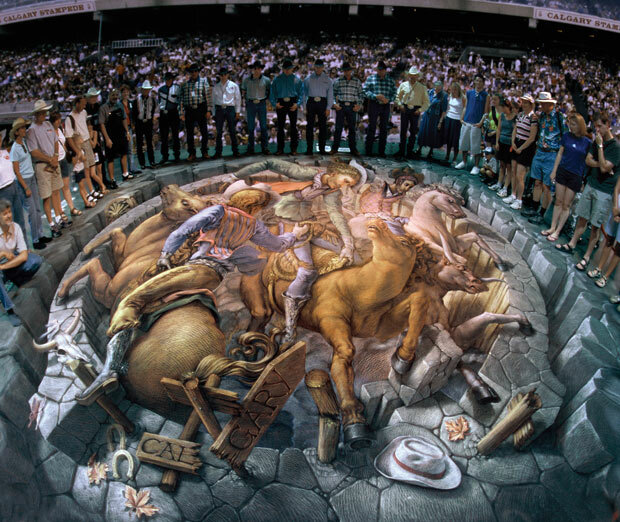 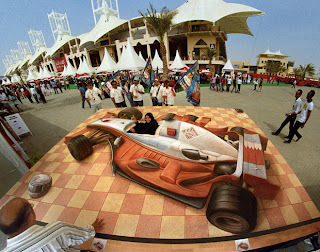 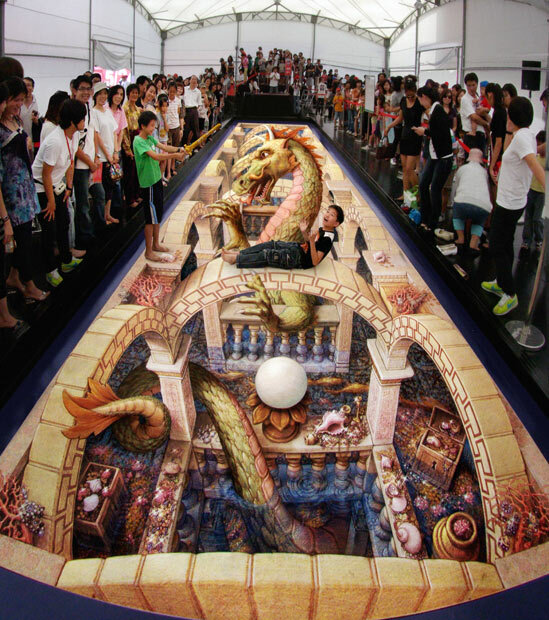 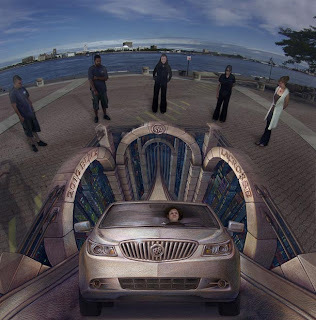 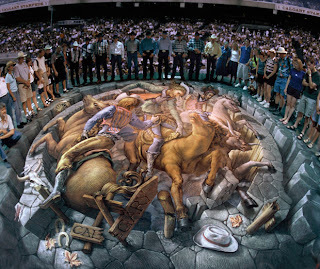 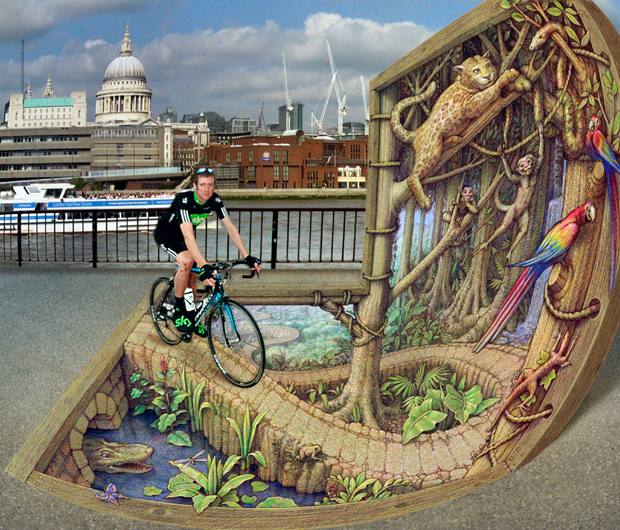 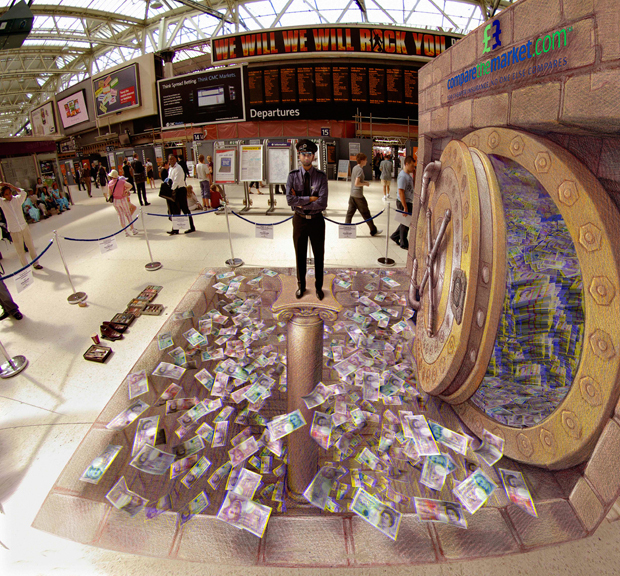 A new book, Asphalt Renaissance, collects the amazing 3-D street art of Kurt Wenner. 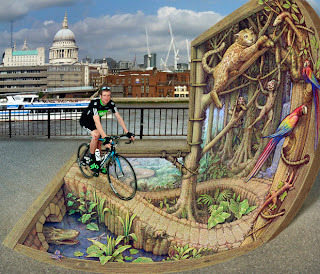 The former NASA space illustrator turned street artist uses innovative techniques that produce astounding three-dimensional images. 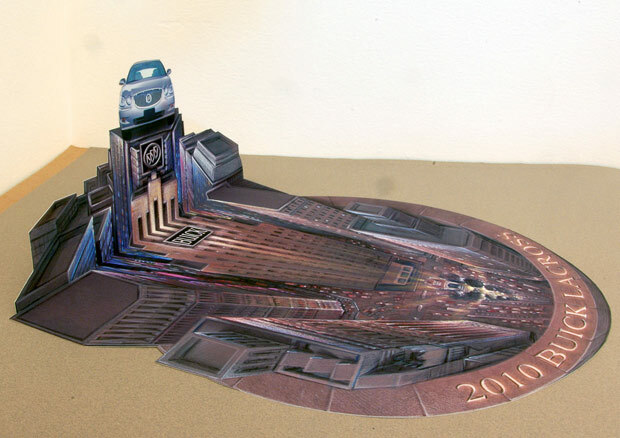 The book charts his 25-year career, with his designs leaping from pavement to pages. 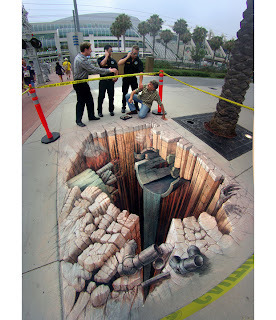 When viewed from the correct angle, people standing on top of them look like they are floating in thin air, and solid concrete can look like gaping chasms. As well as featuring hundreds of his paintings, Asphalt Renaissance recounts Wenner’s thoughts on art and the ephemeral nature of his work. 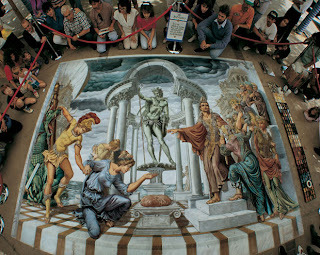 Kurt Wenner worked for NASA as an advanced scientific space illustrator, but left to pursue his love of classical art. 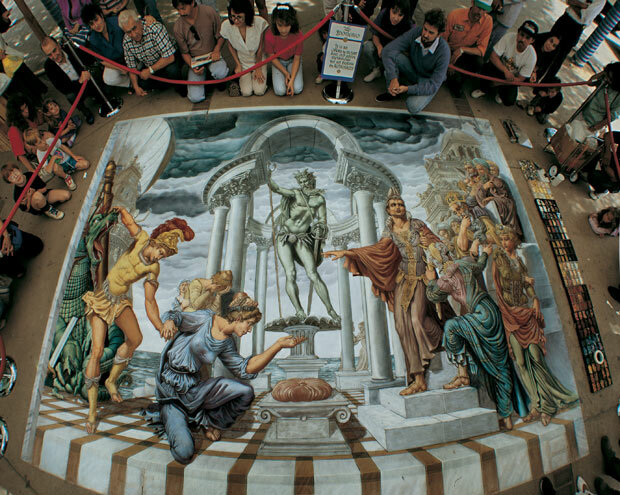 He found himself in Rome, where he began creating street paintings to finance his travels and study. Within a few years, his talent and designs became so well recognised that he became the recipient of several gold medals in European competitions. 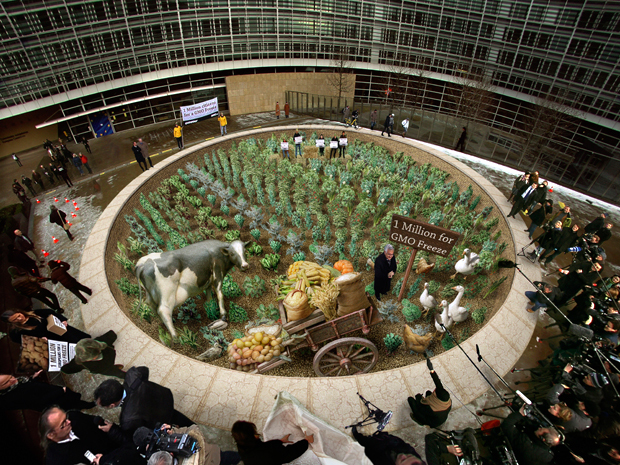 Wenner has also received the Kennedy Centre Medallion in recognition of his outstanding contribution to arts education. 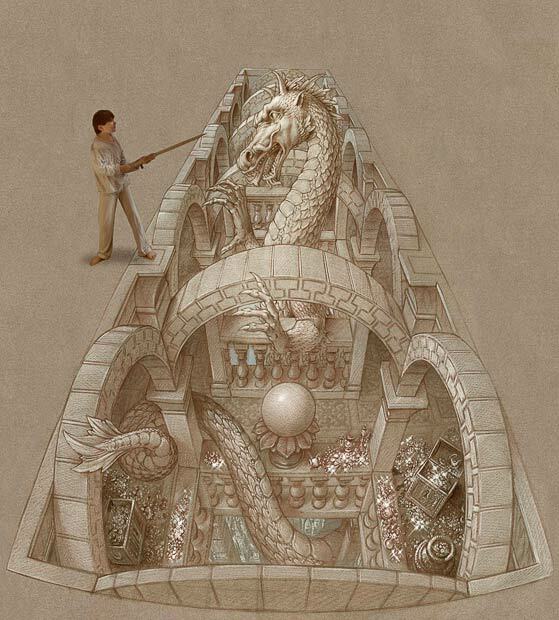 He says: "The pieces look real because they are calculated to be perfectly and mathematically accurate. 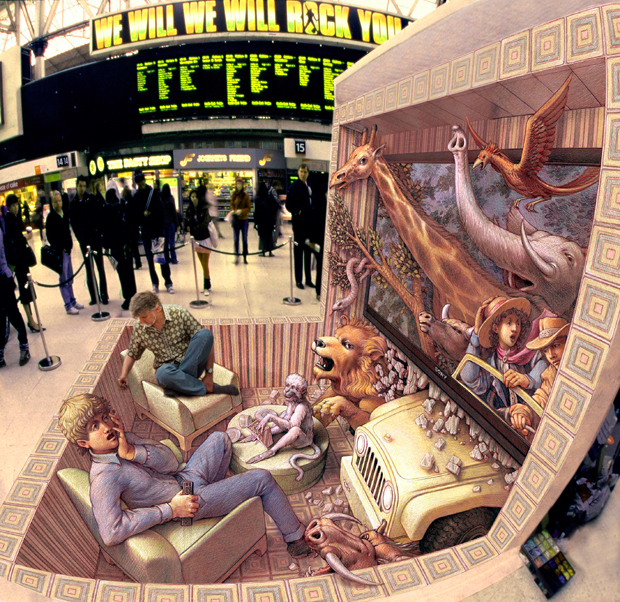 It's exactly how they would look if the objects in my paintings were actually there. I use a piece of string to measure fixed points between the viewing location and the painting. This lets me calculate exactly how the perspective should be. 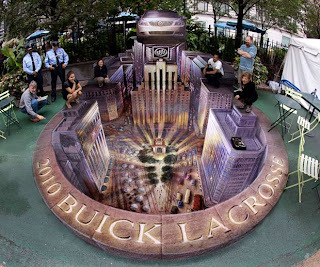 It takes me around five to seven days to complete an average sized piece."